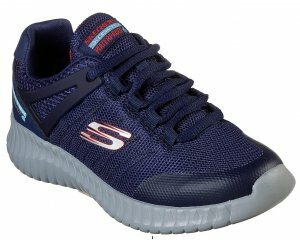 Boys school shoes with all the practical, stylish touches you expect from Clarks, plus the addition of Gore-Tex waterproof, breathable technology for extended comfort. 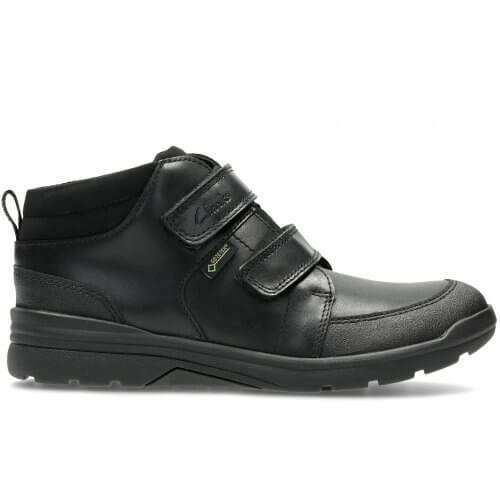 Chunky and durable, the black leather upper is teamed with a comfortable rubber sole. Padded toplines and a double rip-tape fastening adds adjustability. Available from a size 11 - 2.5, F and G width fittings.